GOOD FOOD, GOOD DRINK, GOOD FRIENDS, GOOD TIME! Some think that it’s not easy to find a historic restaurant in “everything is new” Villages, but if you look to the hill, you’ll find a newly redesigned historic site that will give you a true taste of what the Villages is all about! 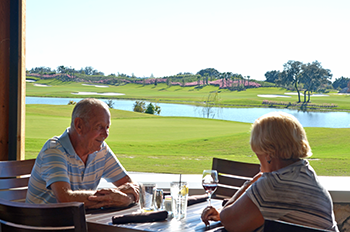 Since 1985, OB Hills has helped define the Villages, now it will symbolize the Villages Lifestyle!